This next car is the kind of ride that gets you a sort of attention that could be good or bad...depending on how you feel about strange men chasing you around town to get a closer look at your ride. And not the kind of dudes you'd want trying to poke under your hood, but that is a discussion for another day. 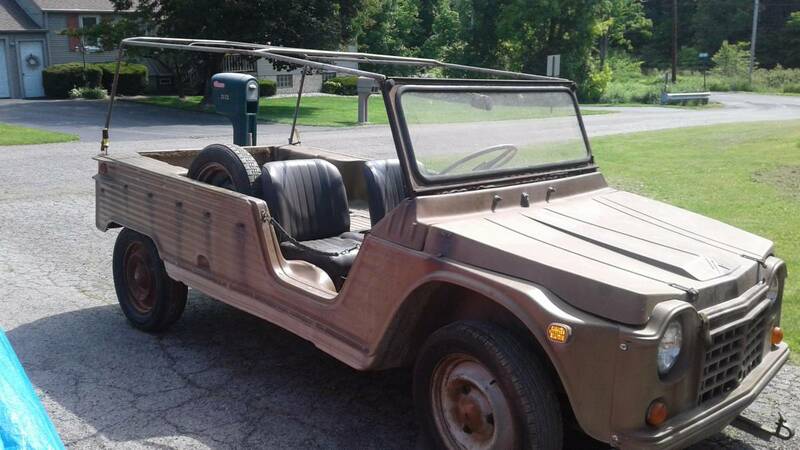 Find this 1970 Citroen Mehari offered for $4,800 near Cincinatti, OH via craigslist. Tip from FuelTruck. I'm gonna have to be totally honest and admit that I didn't have any clue that such a vehicle existed...but you learn something every day...right? 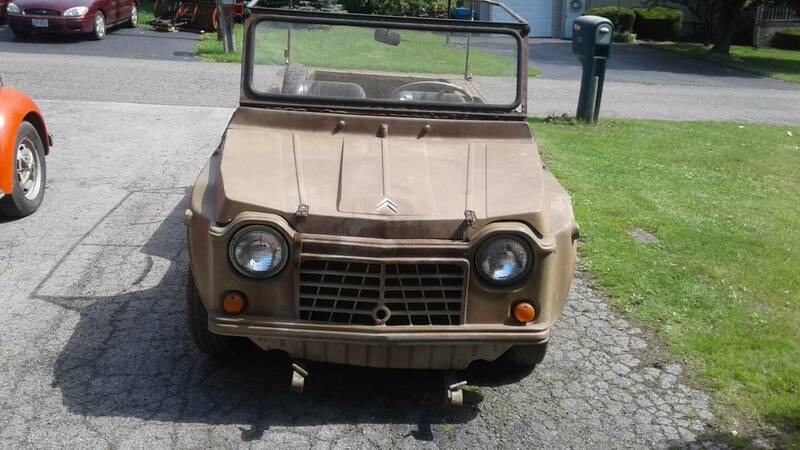 The 2CV based Méhari was built from 1968 through 1988 and seems a bit like the VW Thing. Here we have 1970 Citroen Mehari. Car will but need tank cleaned out. These are EXTREMELY rare in this country! Cars condition decent considering it's age and that it's made plastic! This car can driven as is or with very little work or would be a very good start for a restoration, your choice! All parts are available, car appears to be complete! It has new tires and canvas ta op section. Clear title and keys! Partial trade for firearms. I would like to drive this through town I live in, wearing a french allegiance uniform smoking a cigarette-fume and a mini-camel in the bed. I would most likely be crowned the Monarch of Hipsterville. 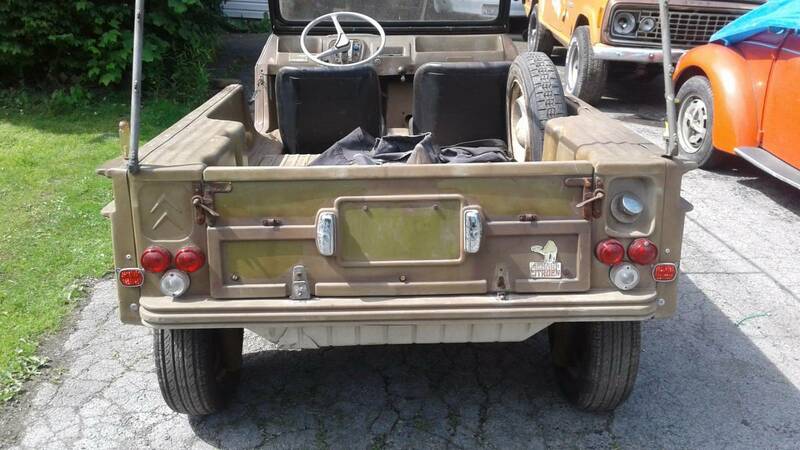 Wonder if the seller will use the proceeds of this sale to finish that project '72 Jeepster in the background?